The oldest Gewurztraminer in the Rangen was planted in the early 60s. There are beautiful old vines, very well anchored in the poor volcanic hillside. Planting this grape at this altitude on such a soil was probably a gamble, because Gewurztraminer doesn’t ripen well in cold drafty climates and can be overly varietal in light soils. However, the Rangen transforms it into a unique wine that shows always great concentration, ripeness and manages to overpower the varietal aromatics. The proximity of the river is paramount, creating a warmer and more protected environment. On the lower part of the Rangen, there is also a higher accumulation of finer elements and the soil is richer and deeper, which are beneficial factors. The 2015 vintage was picked last in early October, almost 3 weeks after the Riesling, with great ripeness and concentration. 8/2017: intense bright gold colour. The nose is very dense, almost tactile with rock dust, smoke, overpowering any varietal aromatics. Some people think of reduction, but this aromatic profile (strong flinty character) is the signature of this vineyard. The palate fills the mouth and conveys power and intensity. Not an obvious style as the grape variety is so dominated by the vineyard. Salty tactile touch on the finish that makes it taste drier than the numbers would suggest. 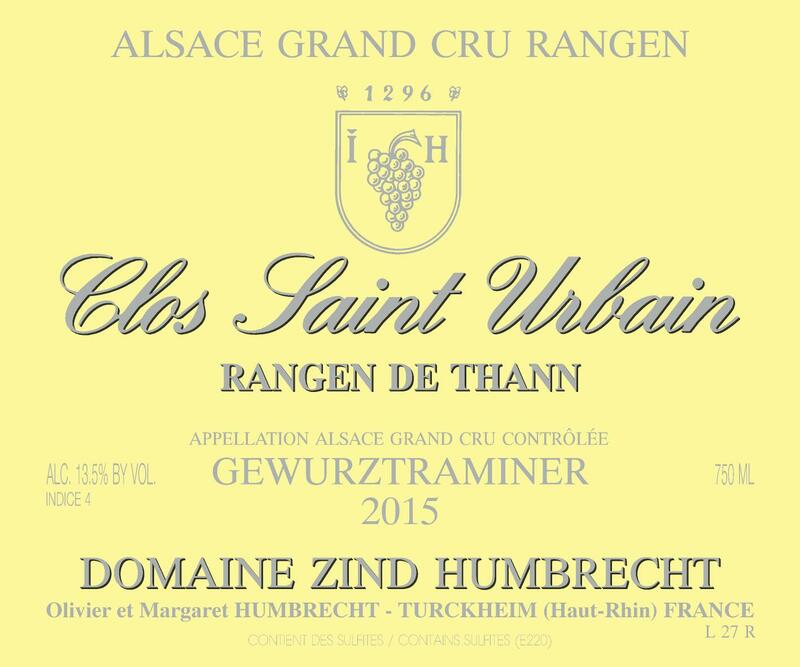 This is a classic big Rangen, and like any other Gewurztraminer in 2015, packed with ripe tannins that bring balance and ageing potential.